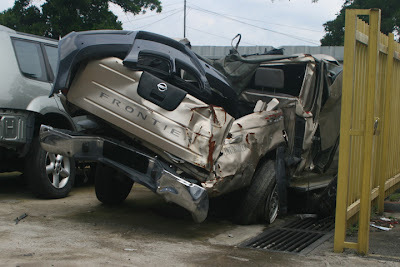 I was driving my Frontier up to Kota Tinggi from JB. As I'm cruiding at 100 km/h, there's another Frontier, recklessly driven and overtaken my car; in a way that my front bumper tip has almost bumped into that frontier's rear. Luckily that I'm safe without getting injured, not even a single scratch.